I’ve written before about how I fancy myself quite the student of music, and yet, despite my diligent efforts to know what’s going on, I occasionally discover that a particular band or artist has somehow escaped my attention. Well, this time it’s ’90s indie, alt, rock, or whatever you wanna call it band, Pavement. Yeah, I know, I’m only just getting into a band that officially broke up in 1999 and was insistent during their 2010 reunion tour that they were not getting back together again. 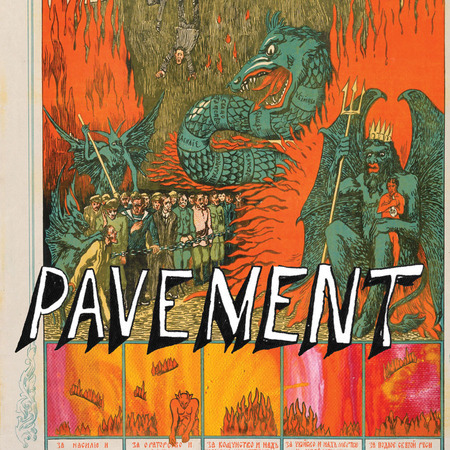 I’ve heard of Pavement for all of these years, heard just as much about their frontman, Stephen Malkmus, and his other projects, but it took coming across a video clip of one of my favorite bands, Wilco, doing a cover of a Pavement song for me to finally get it. I’ve been listening to their stuff all day and find I really enjoy their punk-attitude-infused sound, very electric-guitar-centric, and yet melodic at the same time. Only time will tell as to just how deep I’ll plunge into Pavement, however painful that sounds, or how long I’ll be as into them as I was today, but for now I’m happy to discover some great music that is new to me. For today’s Video Fridays installment then, I hope you enjoy, as much as I did, this full show from the 2010 reunion tour. I remember their tune “Cut Your Hair”. Very catchy. Yeah! That’s the one Wilco covered! Totally hooked me.